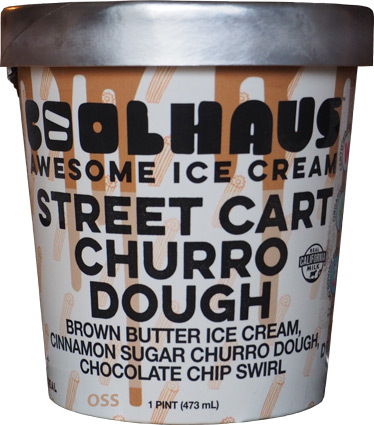 [New for 2018] Coolhaus is one of those brands that is definitely more prevalent then they once were, but that doesn't mean you can find every flavor everywhere. Sometimes you have to keep searching and eventually you'll find what you have been searching for (usually at $5 a pint). I cheated and left the three dough pieces sticking out. Can I jump right to the end here? Awesome, thanks. Basically, I don't get this flavor. I started with a churro dough bit ofcourse, and that had some cinnamon-y bite to it, but it went downhill from there. It's not that it's terrible, it's that I don't get it. 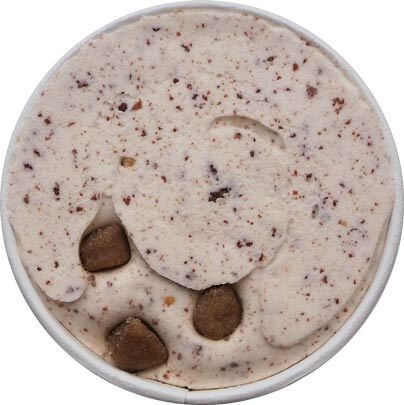 Why add in the chocolate chip swirl that's going to wash away all the cinnamon flavor? To be specific, Talenti used to call this kind of chocolate swirl "straticella". 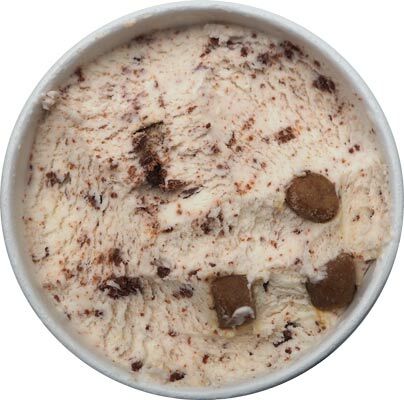 It's that kind of itty bitty chocolate bits that add a unique texture to an ice cream (or gelato), but like I said, it washed out all the other flavors. Why? You can't call something churro dough and then not let me taste the churro. I'm hoping this one just started off wrong for me, but we'll see how the pint progresses. (I know I skipped the texture, but if you've had coolhaus before, then you know how their base texture is). On Second Scoop: Ok, if you can manage to get at least one churro bit in each bite, you can probably manage to have some fun with this one. I didn't get nearly as lost in the chocolate this time. I still wish the texture had more bite to it though, you almost crave like salty chips while eating this one to help round out what's going on. I know they probably don't want to go with the typical salty caramel swirl, but man, that sure would taste good right about now. Hopefully this one continues to grow on me. I'll definitely be aiming for the churro bits! I think I had a similar experience. I could kind of taste the churro-ness, but it was mostly blocked out by the chocolate flecks. Loved the churro dough, though! This was the first flavor I tried from Coolhaus and was my last. I too thought of the stragliatella flavor. Though I pived the dough, the rest was just me to me. I had the same impression when I tried it. When I got a churro bite it was great, but otherwise it was somewhat underwhelming. The Midnight Munchies, however, was one of my favorites (though it's suddenly disappeared from my local Shoprites unfortunately). My thinking with the chocolate is that you frequently dip churros in hot chocolate. That's how I've always eaten them, anyway. Chocolate and cinnamon DO NOT belong together! That being said, i didn't think this flavor was that bad. I love Ben & Jerry's cinnamon bun dough pieces there. I do applaud companies using different cookie dough flavors than just chocolate chip cookie dough.